It’s been a long time coming for Playstation VR. 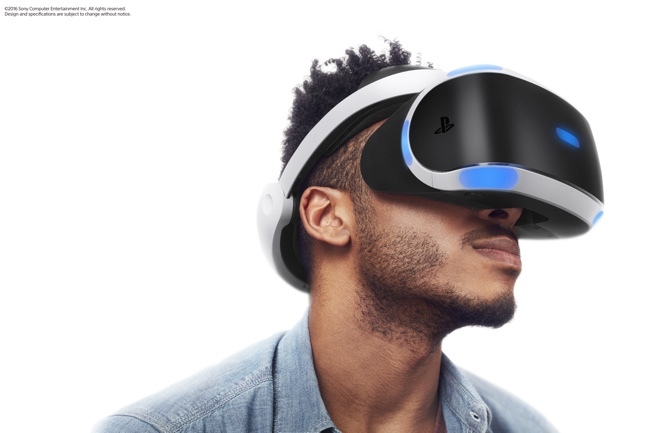 Originally codenamed Project Morpheus, it debuted at the Game Developers Conference (GDC) in 2014 to more anticipation then I can remember for a hardware peripheral. Since 2014, Sony has had its work cut out for them, not only developing the hardware, but selling consumers on why this was an essential piece of tech to add to your home entertainment center. Now over two years after the debut, the Playstation VR is set to hit store shelves this week and we had a chance to take the hardware for a spin before the initial release. Before though we get into any review of the hardware or talk about my experience with it, I want to start with a very brief history of my experience with virtual reality. For this sort of hardware release I think it’s important to understand the user’s prior experience. Right around a year ago I had my first taste of virtual reality in a way that I think the people at Sony, Oculus, and HTC would probably scoff at. I was sent a very inexpensive virtual reality headset that used my iPhone as its screen. At the time the software lineup on iOS was lacking so my experience was limited to brief game demos and watching 360 degree video. Outside of that very brief experience that I’d consider VR-light, I’ve had no other experience with virtual reality headsets. This review is for all intents and purposes a review of the Playstation VR headset from a virtual reality virgin. The packaging and subsequent installation of the Playstation VR is equal parts beautiful and overwhelming. When you open the box you are greeted with four distinct sections followed by a giant instruction manual for installing the headset. The step by step instructions are miles better then say Ikea furniture directions but still leave a bit to be desired. Not to belabor the point but this is more directions then I’ve ever had for a piece of video game hardware. There are three distinct steps when setting up the unit. First it’s important to make sure that you have Playstation Move controllers charged (not required for all games but some), as well as a Playstation Camera plugged in (it is required). Next is setting up the processing unit which requires you to plug in the HDMI from your TV into it and plug an included HDMI cord from the processing unit to the PlayStation 4 and a USB from the PlayStation 4 to the processing unit. This last part is a little wonky as it requires you to put a USB cord from the front of the console which is PlayStation 4 not the most aesthetically pleasing maneuver. The last part of the process is plugging in the PlayStation VR unit into the processing unit and powering it up. As I write this I realize this doesn’t sound like a huge task but depending on your home entertainment setup it can be a bit of a chore. For me it took a little under a half hour, but the directions were good enough that I was able to get everything to work on my first try. There are two cords that are going from the front of the processing unit to the headset that is long enough to give you plenty of breathing room. Although within the first three days of having the unit it reminded me of my childhood having people in our home jumping over the cable not to trip and fall. A blast from the past for sure. Once you have the device plugged in and you situate yourself in an appropriate distance from your PlayStation Camera, the setup is done and you’re ready to experience virtual reality. From there you can jump into the included VR demo disc, or jump into one of the 30+ launch titles with more coming before the end of the year. In this review of the hardware I won’t specifically be reviewing any of the games in the launch lineup but instead the performance of the headset and my experience using it. I’m going to start with putting on the device and general comfort. Putting on the headset is really quite easy. There’s a release button on the back of the unit that allows you to pull the back piece back allowing a nice easy fit on your head. You can then adjust with a dial the tightness of the unit to get a nice snug fit. When I first picked up the unit I thought that it felt a bit heavy and bulky but the weight is nicely distributed on the unit and it never felt too overwhelming on my head. The longest concurrent use I had with the unit was right under two straight hours and I never felt uncomfortable either by the weight of the unit or the comfort. The one really big downside for me was that I was never able to get the unit snug enough to block out the bottom portion bringing in light from the ground. From time to time I would see a little light coming from my living room that would take me out of the experience. It wasn’t too bad but depending on your facial structure this may be more or less pronounced. I had a couple of people try the unit and no one got a perfect fit but it bothered people to a varying degree. A lot has been made in the lead up to the PlayStation VR unit about the horsepower behind the unit. As I mentioned on the top for better or worse I’ve never had experience with the Oculus Rift or the HTC Vive so I won’t be able to compare. However, I will say right way after looking at the PlayStation Menu you can see that the items in your direct field of vision are very clear and the items in your periphery are slightly blurry. It sort of reminds me of draw distances of open world games, the closer you get to items in your periphery the clearer they get. There were a couple of times in various games and menus that I thought that I might have had a smudge on the lenses but it turned out to just be the games themselves. Although this isn’t a review of any game in particular but the hardware, I will say that I’ve played a half dozen games and tried every demo that’s included with the unit. At this point I’ve had a good enough breadth of experience to be able to say that although the games graphically cannot compare to what you see on normal PlayStation 4 games they still look pretty good. Whenever we’ve seen hardware limit developers it usually results in interesting artistic styles to supplement the lack of pure horsepower. There are a handful of games that do this and more I’m sure that will in the future. And quite frankly polygons is not what really makes the PlayStation VR hum. For the last couple of years all I’ve ever heard from the VR fan base is that you have to experience it for yourself. And now that I’ve spent a considerable amount of time with the PlayStation VR I am inclined to concur. Even though you can mentally picture what it will be like the actual experience is quite unique. I hate to use the old Matrix expression but in a way you feel “jacked in.” It’s an experience that transports you more so then any game you’ve ever played on a flat screen. The ability to look around you, and interact with the world is visceral. Some games do it better than others but no matter the experience, although you’re still playing games that we’ve all played in some form of fashion before, it feels new. One of the major drawbacks to the PlayStation VR are the Move controllers. I wasn’t a fan of these controllers when they were released back in 2010 and my problems with them are only exacerbated by the fact that you have a VR headset on while using them. Although ergonomically I think they’re quite comfortable to use the buttons and general design don’t compliment the sort of touch controls you want with virtual reality. In games where you’re using the move controllers as hands it can be quite jarring. I understand the business decision to go with preexisting motion controllers that they probably had a large stock of, but for me this might be one of the weakest links in the entire VR experience. The last area of virtual reality I really want to touch on is nausea. Every persons experience is going to be different. For me I am one that usually gets very sick on any motion simulating type ride and on some roller coasters. I’m known to many of my friends and family to not have a strong stomach. In my time so far with the PlayStation VR I’ve had some games where I had no nausea and others where I had varying degrees. I found that the longer I was playing the more prone I was to having motion sickness. In fact the ideal time in virtual reality for me was a half hour. I found that the couple of times I did over an hour that I would become much disoriented after coming out of the experience. I never got to the point of actually losing my lunch but the small bouts of nausea I did get were less then pleasant. Taking a step back now that I’ve had considerable amount of time with the PlayStation VR I come back to the age old question, is it worth jumping in on? I have a somewhat conflicted answer to that question and one that I’ve been wrestling with. On one hand I think the virtual reality is not only transcendent for video games but could be for many areas of media and technology. On the other hand I’m not completely sold that the current PlayStation VR headset is the future. It’s an amazing piece of technology, that’s expertly built, and has some great experiences both released and lined up for it. On the other hand though it feels cobbled together; with the processing unit, move controllers, and less than ideal clarity of viewing. I believe that this is Sony’s attempt to test the waters before a far slimmer, higher powered, less cobbled together experience comes. If you’re alright with being an early adopter and not having the most streamlined experience I think there is enough to enjoy out there now to warrant the purchase. If nothing else you will be among the first to experience what I consider a new and exciting frontier for video games. This is a product that is made for a very specific consumer in mind, and unfortunately I don’t know if that market is really big enough to get the full use out of this product. There are a few things that I do think hold back the package which include the keyboard and the lack of support for Skype. In the end this is still a good solid product with amazing speakerphone quality that has a few problems that will hopefully be worked out in the case of future VoIP desktops.